With hectic routines, homework, and dizzying after-school schedules, there is almost no time left to unwind! 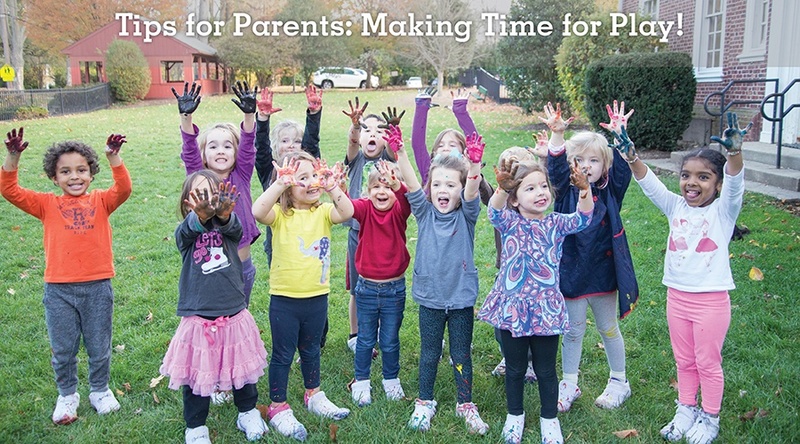 As parents, we’re often overwhelmed around this time of the year, which makes it a great time to shift our focus and to make time for our kids to play. Play is the common language of childhood. It is an innately driven activity through which children develop their physical, intellectual, emotional, social and moral capabilities. These competencies are the primary building blocks needed for the future. It is normal for adults to associate play with voluntary activities chosen for fun and pleasure, but children – particularly young children – are able to experience the world through play. Young children learn best through play and the advantages of socialization, imagination, and planning that play affords prepares them well for academic and social accomplishment in later years. The playground is an environment where children can make strides in cognitive and social growth as children have the ability to team up with their peers, make decisions, and problem solve. Partaking in some form of physical exercise – big or small – before and during school helps reduce in-class inattentiveness and moodiness and improves academic performance. These abilities that we find exercised during play are needed in the classroom, too. Play assists in the development of critical social skills such as collaboration, cooperation, negotiation, and conflict resolution. Play can aid children in understanding their environment and their role within it and supports kids in developing imaginations and discovery of their unique interests. Play helps children develop relationships and friendships – and most importantly it’s fun! Plan out unstructured time in your schedule, as well as your child’s, so that your children have the freedom to make choices about what they want to do. Providing your child with access to open-ended materials, blocks, tools, art materials, sand, water, and ingredients for cooking encourages play. Children should spend time outdoors exploring the natural world. Shipley benefits from close proximity to Bryn Mawr College and Ashbridge Park, both of which offer great outdoor spaces and opportunities for physical activity. Start (and finish) your child’s school day with some exercise. Shipley welcomes families to arrive at school a little early and enjoy the playground together – or do some jumping jacks in the kitchen before the bus arrives. Play games with your kids! Cooperative games are a great way to develop social skills. It might even be fun for you too. Learn more about early childhood education at Shipley.